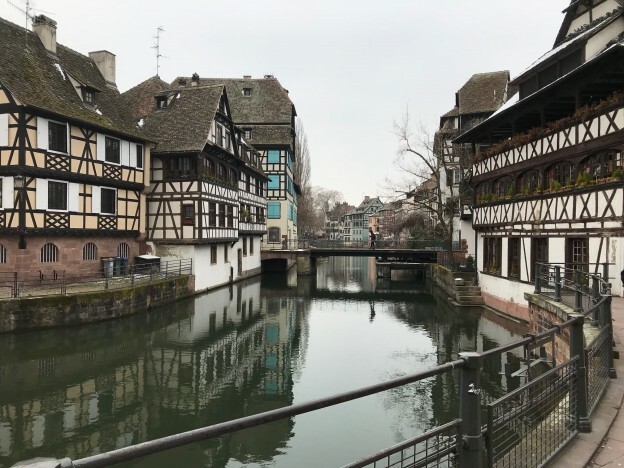 The board of Oikosnet Europe met March 19 in the beautiful city of Strasbourg (see the picture that I took as we were walking through the city for lunch). We were hosted by Union des Eglises protestantes d’Alsace et de Lorraine (UEPAL). One of the most important items on the agenda was of course to discuss various dimensions of the Annual Conference that will take place in the Orthodox Academy of Crete. The board that was elected in Flehingen, with Walter Lüssi as the new president, is now working on several issues related to how Oikosnet Europe can be significant and fruitful for all its members. How can we inspire more collaboration projects with the community? What themes should be advanced at this point in time? We, as members, are of course of great importance for the development of the association. If you have creative ideas, please prepare to present them at the Annual Conference in Crete! This entry was posted in News from Oikosnet on 27th April 2018 by Sigtunastiftelsen.